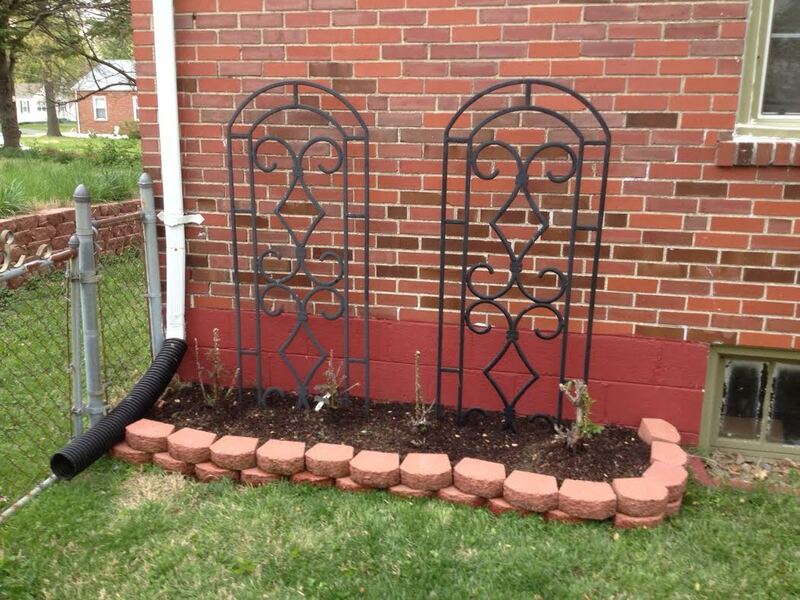 Here’s that new rose garden I mentioned in yesterday’s post. It’s still a work in progress (that gutter extension now needs to be trimmed). And the roses don’t have much to show right now. Prior to being moved, all 4 of them were growing up the trellises and were each about four feet tall or more. But the harsh winter really did some damage to them and we were just about ready to pull them up and call it a day. But, luckily this past week they all started showing new growth near the ground so we decided to save them. I’ve always been tempted to plant something in this little nook next to the house. I’m not much of a rose person, but now I at least have something in this space and don’t have to be tempted anymore. Hopefully I’ll be posting an updated pic later in the season that will be showing off beautiful rose blooms!